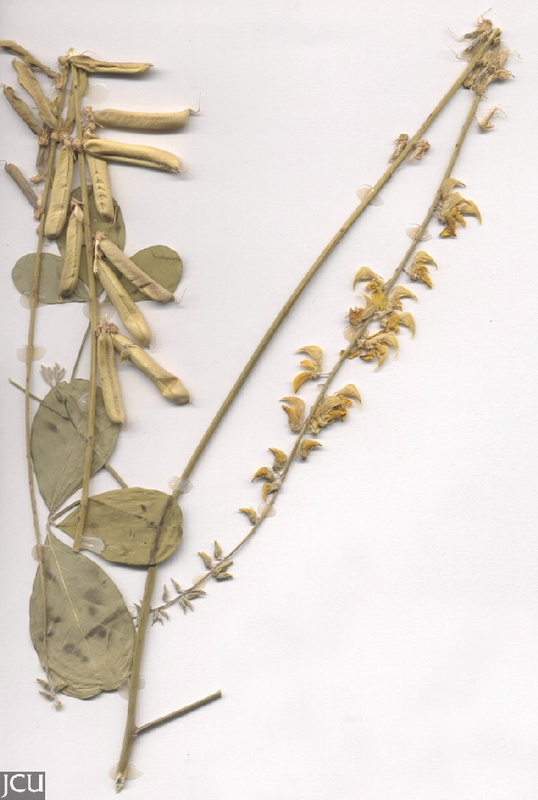 Stipules if present, narrow to 3 mm long, leaves with 3 leaflets. Flowers in a terminal raceme to 30 cm long, each flower with a stalk 3-7 mm long. Standard petal yellow with reddish-brown veins. 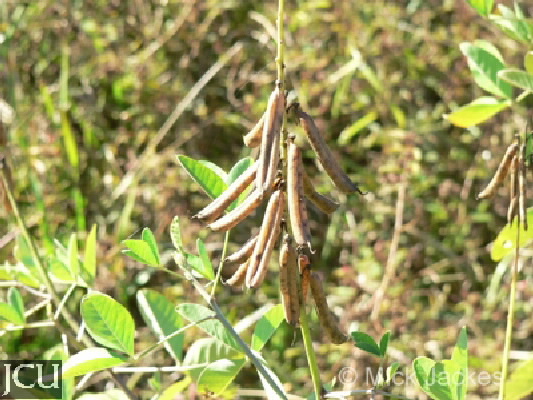 Pod 38-46 mm long, brown.